On one of our last days in Oregon, Alan Warren stopped by our shop with a bunch of new knives. 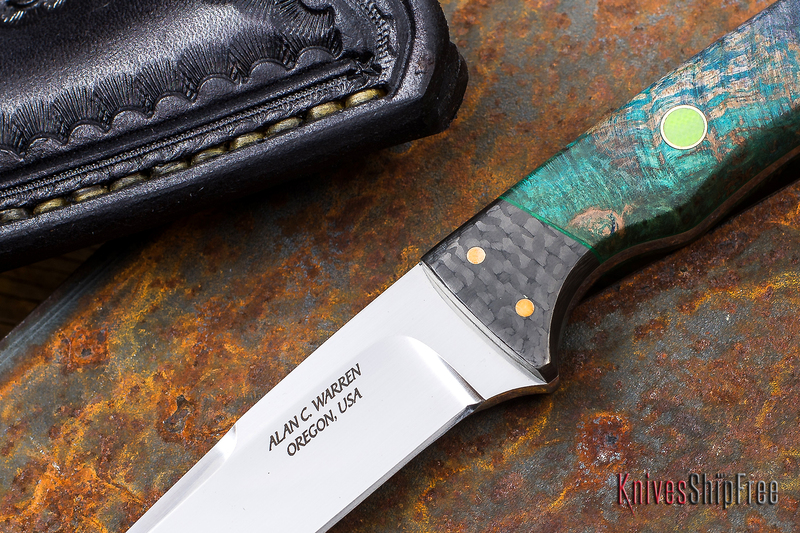 Among the lot was this stunning neck knife, handled in dyed Buckeye burl with a carbon fiber bolster. Please pardon the cliché, but photos just can’t do justice to this knife. 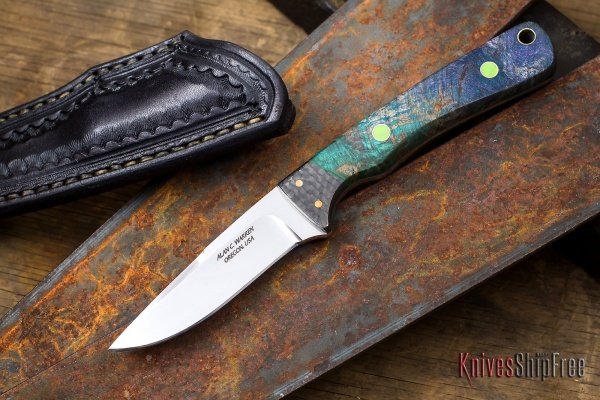 This entry was posted in Customs, EDC and tagged Burl, EDC. Bookmark the permalink.